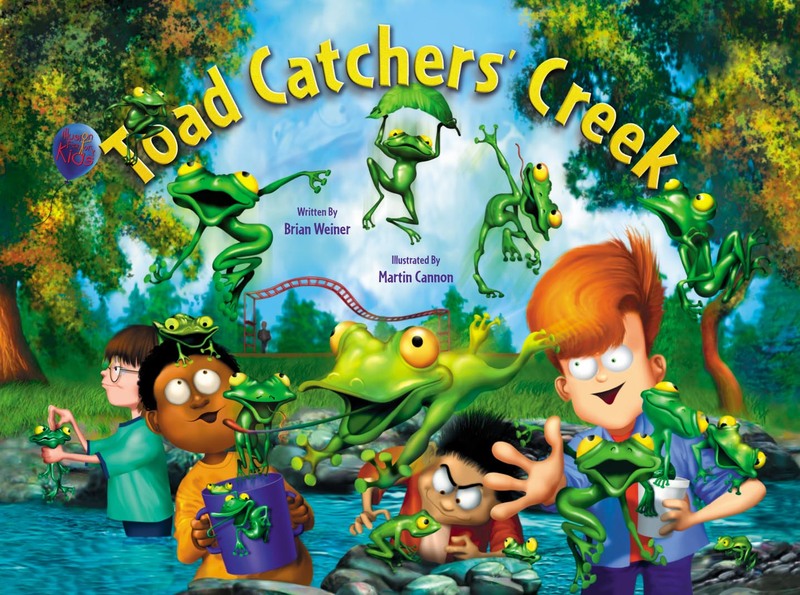 Brian Weiner wrote and produced this inspirational children’s book, Toad Catchers’ Creek, which teaches the four magic words… I Can Do It. Martin Cannon’s spectacular illustrations bring this poignant story of a father trying to inspire his son to life with their vibrant and whimsical style. Toad Catchers’ Creek, Volume One of the Children’s Empowerment Series, is a vivid story of a young boy named Chris, who must summon all of his courage to show his father, and most importantly, himself, that he has what it takes to gather his focus, confront his fear, and succeed where he had failed in the past. The Children’s Empowerment Series is an innovative collection of stories that explore a multitude of fears that many children encounter during the formative years. Each delivers a means of confronting the fear through time tested methods that are presented via a host of eclectic characters and circumstances. Toad Catchers’ Creek was created at The Illusion Factory along with a collection of over 50 custom toads, and other collectible animals. Learning flash cards for alphabet and addition, an interactive children’s website, 3D dancing toads and many other elements have been created to support this growing franchise. Seeking new opportunities for development and distribution of this community of vastly creative characters and stories. Please inquire.